Social media is currently playing a huge part in the discovery of the future of work. 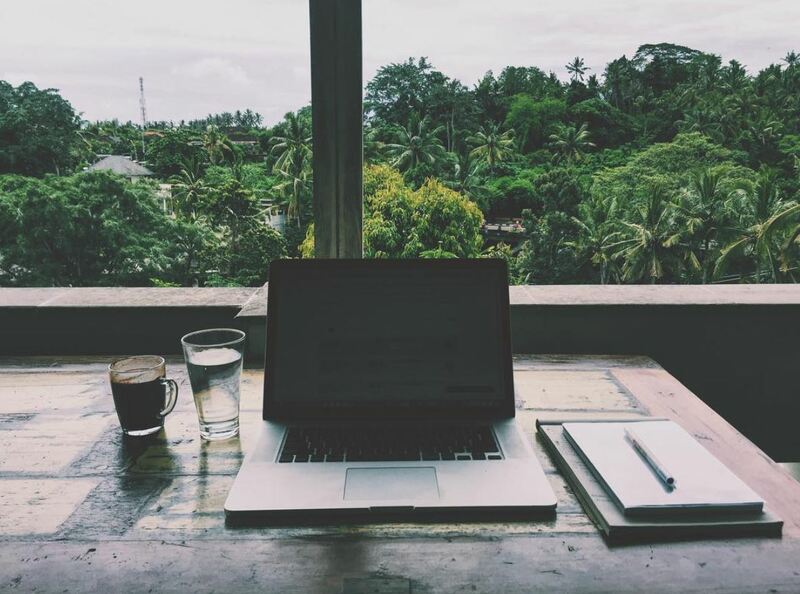 Platforms like Instagram allow freelancers to share their nomad lifestyle which usually involves a laptop in front of various exotic locations. We, being office workers in a big city, can’t get enough; a glimpse into a more adventurous life, working where you want and living by your own rules seems out of reach. Jared Stephens and Michael Wong, co-founders of Instagram account Remote Boys, give us an insight into their own lifestyles (one is currently in Bali, the other traveling around the world), how they think social media is effecting the way we work and how you can improve your productivity by remote working. What made you decide on this way of working? [JS] Quite a few! The travelling aspect gives an insight into how people with exciting cultures and backgrounds work. Productivity is on a high as we are able to design our own schedules as well as take it easy if we’re feeling under the weather. I find networking a lot easier too without being restricted by only going to events after working hours, I can go throughout the day. Remote working can get lonely, but networking regularly is a solution. What I’m most passionate about with working this way is the freedom. Working 9-to-5 hindered me from being able to pick up new projects that I took an interest in. I’ve essentially become my own boss, managing my own schedule, moving from one place to another – freedom is everything for us. Why did you start the Remote Boys account? [JS] In January last year, two of my friends and I put our marketing chops together and ran a digital marketing agency. The kicker: each of us lived in different parts of the nation! At 22 years old, we wanted to show others that this lifestyle was possible—no matter how old. That said, we don’t post our faces on the account because it’s not about promoting us, it’s about promoting the life and the hustle. We love creating content and talking with our audience, each week we respond to around 50 messages advising how to start working remotely. We’re now beginning to use the brand to work alongside coworking spaces to help market their products too – we love every part of running this account! How does the Remote Boys account inspire other people? We hope to inspire others by giving them a window into what remote entrepreneurs do, our posts are vignettes into each of our working lives. While we work together, we are all based in different parts of the world, so we want our experiences to illustrate that this lifestyle is possible and how enticing and liberating it can be. It’s been so popular that we’ve expanded to blog stories – remoteboys.com. How has social media impacted the work world? [JS] Social media has played a key role in sparking the digital nomad community and creating exposure for the movement. With remote workers using Instagram as their platform to tell their stories, we’ve realised that people are struggling to overcome their fear of leaving stability behind. We, along with many others are trying to encourage people to get over this unnecessary fear and into a self-empowering position where stability is still achievable. Instagram has been a great medium for this, but we are rapidly outgrowing it. Unfortunately, social media is also having a negative impact on the way we work. It’s increasing the amount of pressure we all feel to fit into what social norms define as “success”. There are thousands of posts depicting luxuries from clothes to spin classes and avocado brunches, all of which are desirable – by doing this we’re making people more afraid to go against this ‘social norm’ and follow the best style of living for them. Let’s be real, nearly 80% of the US workforce is unhappy in their job, I was too, which is another reason why I was inspired to utilize social media to encourage people to do what’s right for them, explore the world and work the way they want to. From the outside looking in, remote workers are seen as these idealized nomadic employees, working on beautiful beaches. It has become much more than that. The reality is that we’re rebelling against what society deems as “successful”, seeking deeper connections with ourselves, those around us, and the world we live in. If an account or blog is curated with care, it can showcase this instead of just beach pictures with no sign of working around. What is the future of working? [JS] Yes, I think co-living, co-learning, co-working, co-everything, is the future. In these environments people are happier, learning faster, connecting with themselves and those around them with deeper meaning and they are finding higher rates of success in the work that they pursue. Coworking spaces are popping up all over the world at an alarming rate, even more notable is the rate at which we’re seeing people discover their purpose in life. Working in inspiring places and connecting with like-minded individuals and communities give people the ideal space and encouragement to foster their own passions. [MW] I think working behind a desk can be important as long as I don’t work behind the same one every day! Typical 9-to-5 desk jobs often offer the same mentality and routine which I don’t agree with. A week of remote work, even sporadically, can boost creativity. Just trying somewhere new a couple of days a week makes a big improvement to productivity and outlook. What are the details of the way you work? Is it a lifestyle that’s available for everyone? Studio sized place, rice paddy view: $200 per month. Eat local food for as low as $240 per month ($8/day). Scooter rental and gas for $55 per month. Travel insurance if you don’t have it $100 per month. Total: $720 per month for all your base costs. Of course, you should factor in extra costs for leisure as well. In all honesty, to have a good life here you’re looking at an amazing rate! Add about $700 to your monthly budget and you can upgrade to living in an unbelievable home with a pool, cook, cleaners, breath-taking views, and travelling all over the island on the weekends. Understandably, this is why Bali is so attractive to remote workers. 8am: Check-in with my team over breakfast and coffee, chat highlights and low points from the day before and go over the day’s tasks. Work on personal projects. 10am: Get into the office. Right now, I split my time between Hubud Coworking and Outpost Coworking. 6-7pm: Finish work. Socialise, network or meet with friends. This schedule often chops and changes – I love being able to design my own schedule. Some weeks I barely work to spend time travelling. Others, I put in 12 hour days, just depends on the workload or how I’m feeling! How often do you travel somewhere new? [JS] Personally, I think it’s important to get grounded in a new country for at least three months. Getting accustomed to a new place takes a lot of energy, therefore productivity suffers when your travel schedule is so hectic. What advice would you give to someone if they wanted to become a remote worker? [JS] Just. Get. Started. Plain and simple. If you can get over your fear of the unknown and step up to the plate, the world is yours. When you’ve gotten past the fear, start researching. Talk to your boss about working remotely or consider starting your own project to sustain yourself. [MW] Identify your abilities and resources to create freelance work for yourself before jumping ship. Uncertainty will drive you back to the workplace after going remote. Having a clear plan to cover your expenses will make the whole operation go smoothly, so you can focus on yourself. My other piece of advice is to constantly check your self-discipline. Remote work is not for the easily distracted or the hard to motivate.